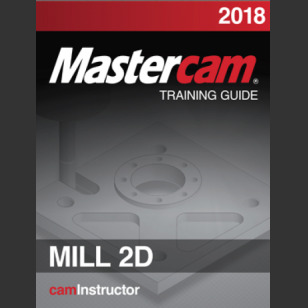 This 484 page Instructional Training Guide provides all the instructions you need to learn 2D Geometry Creation (CAD) and 2.5D Toolpath Creation (CAM) in Mastercam. 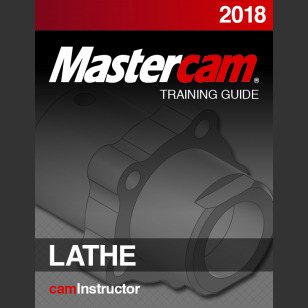 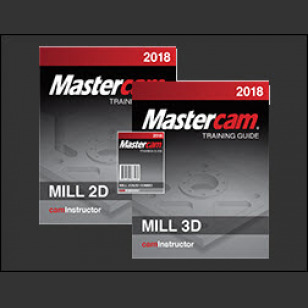 This 413 page Instructional Training Guide provides all the instructions you need to learn 3D Geometry Creation (CAD) and 3D Toolpath Creation (CAM) in Mastercam. This Combo Pack includes the Mill 2D and Lathe Training Guides and provide all the instructions you need to learn Mastercam Mill 2D and Lathe. 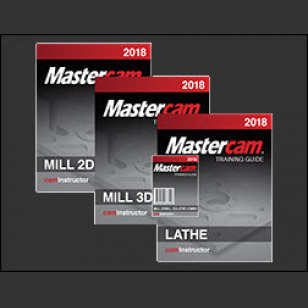 This Combo Pack includes the Mill 2D, Mill 3D and Lathe Training Guides and provide all the instructions you need to learn Mastercam Mill 2D&3D and Lathe. 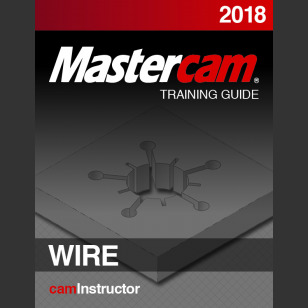 This Instructional Training Guide provides all the instructions you need to learn Geometry Creation (CAD) and Toolpath Creation (CAM) for programming a CNC Wire EDM in Mastercam. 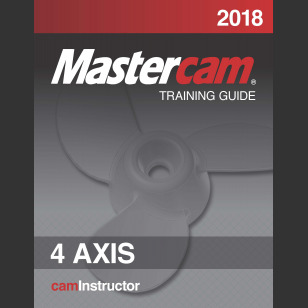 This training guide includes 385 pages and provides all the instructions you need to learn how to program a 4 Axis CNC machine using Mastercam. 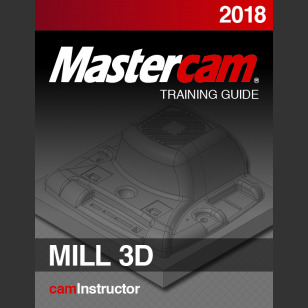 This training guide includes 407 pages and provides all the instructions you need to learn how to program a 5 Axis CNC Machine using Mastercam. This Instructional Training Guide provides all the instructions you need to learn Mastercam Solids. This combo pack includes 740 pages and provides all the instructions you need to learn how to program a 4 and 5 Axis CNC Machine using Mastercam.